Not everything turns out the way it looks in pictures…. 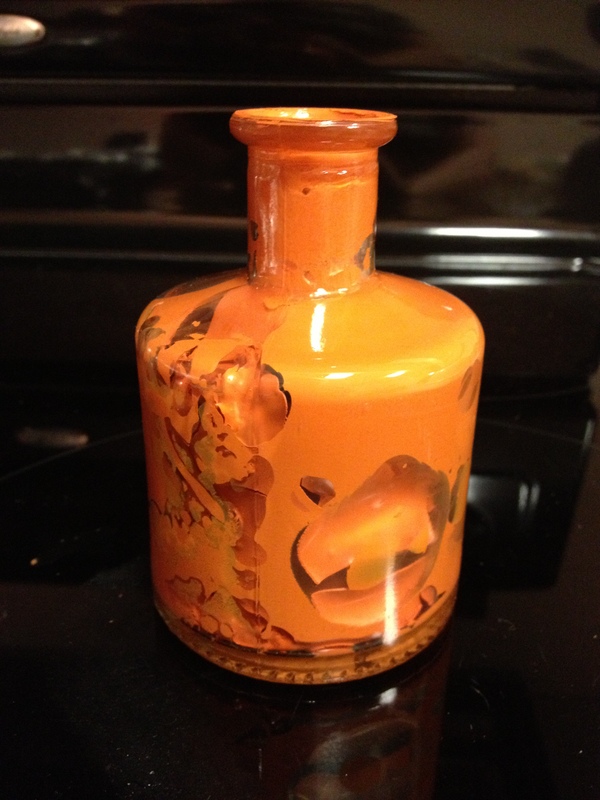 I was inspired to try this enamel painted vase technique on an interesting shaped bottle. 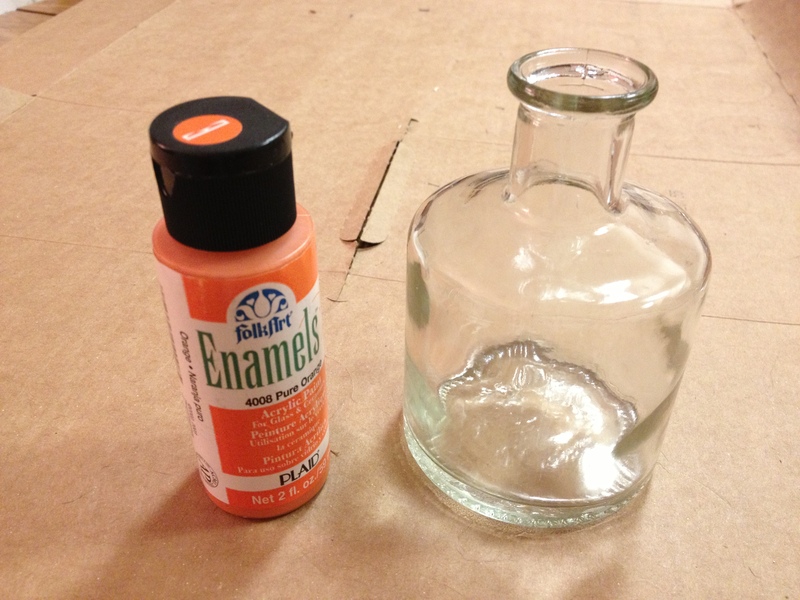 I followed the instructions and noted any differences with the enamel paint that I was using. 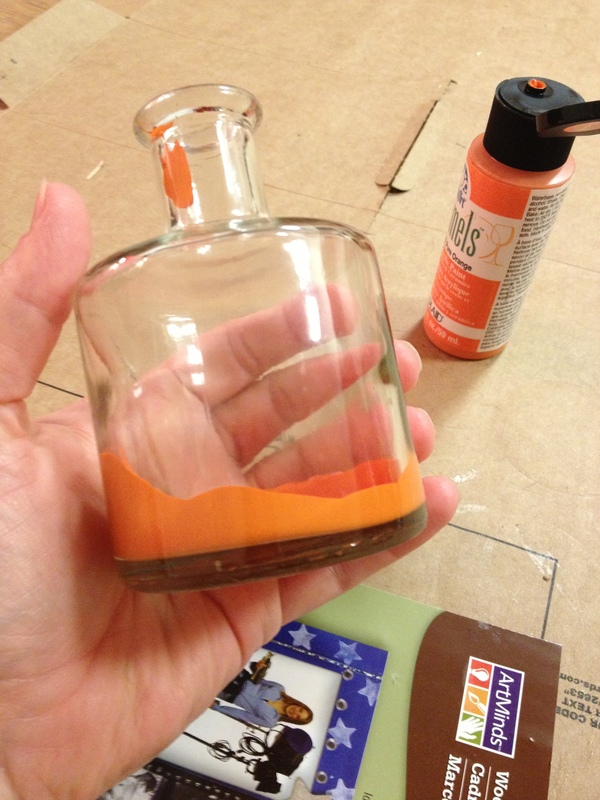 I coated the interior of the bottle with the paint. I turned it upside down to allow the paint to “settle” and the excess to drip out. 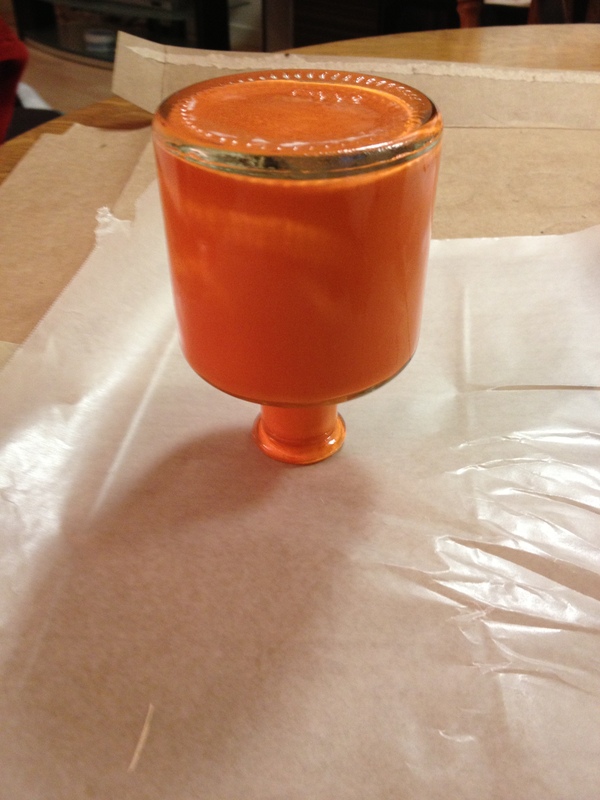 According to the instructions on my paint, you place the glass in a cold oven and preheat to 350 degrees. Once heated, you bake for 30 minutes. After the baking is done, you allow it to cool in the oven. Sadly, when I opened the oven to see the “masterpiece”, I discovered that the paint pulled away from the glass in many areas (see photos below). Luckily I could just cover it with yarn as I did in one of my earlier projects. 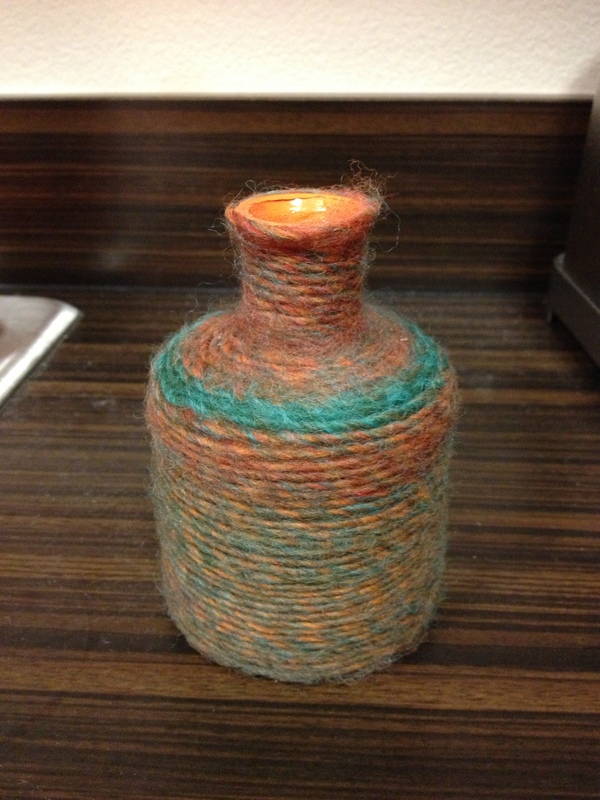 I really think the way the variegated yarn colors randomly created the stripe on the “fixed” vase is quite lovely. Nothing ventured, nothing gained. 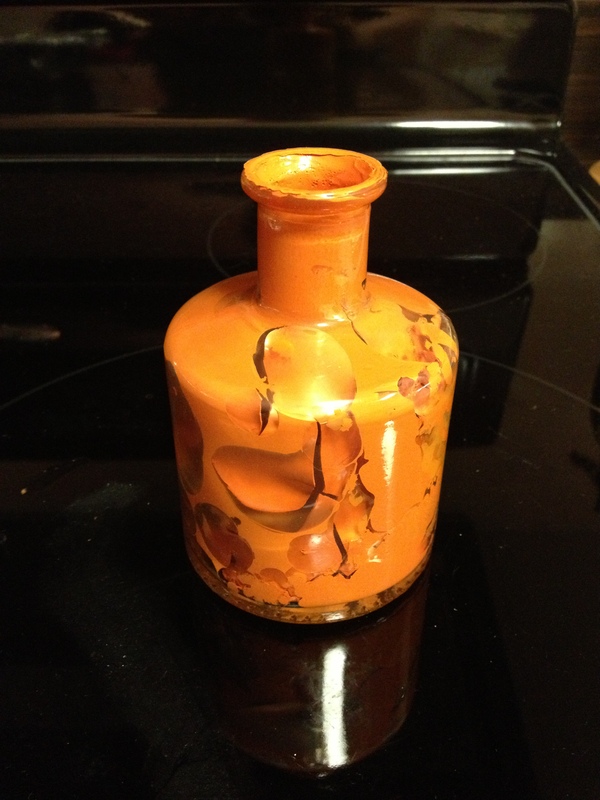 There is a life lesson in here somewhere….. Not everything will turn out the way you had hoped. But just taking the chance opens your mind to new possibilities. 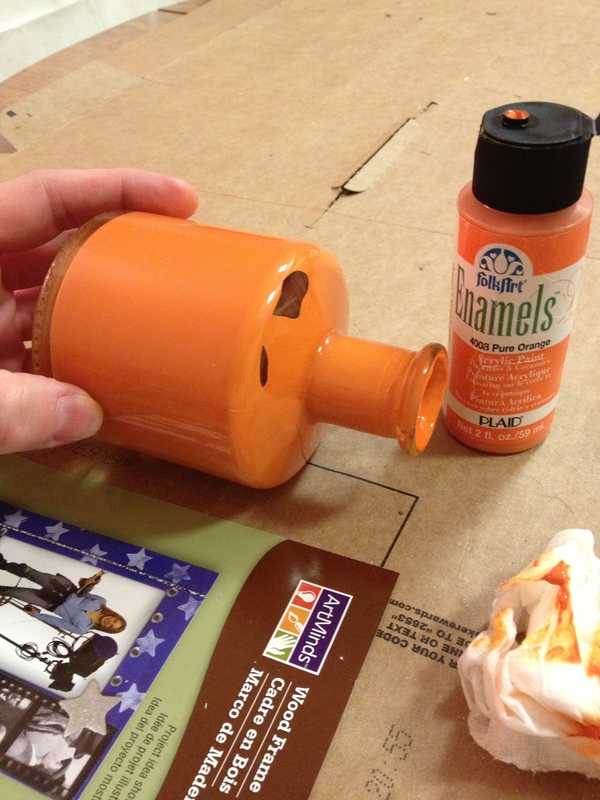 Posted in Project Pin and tagged crafty, paint, Project Pin, vase. Bookmark the permalink. Yay to honesty! Good recovery too, lol!